Want to do it ALL at an affordable price? Don't want to mess with photo contest & early bird specials? Then This Porcelain Dolls Special is for You!! 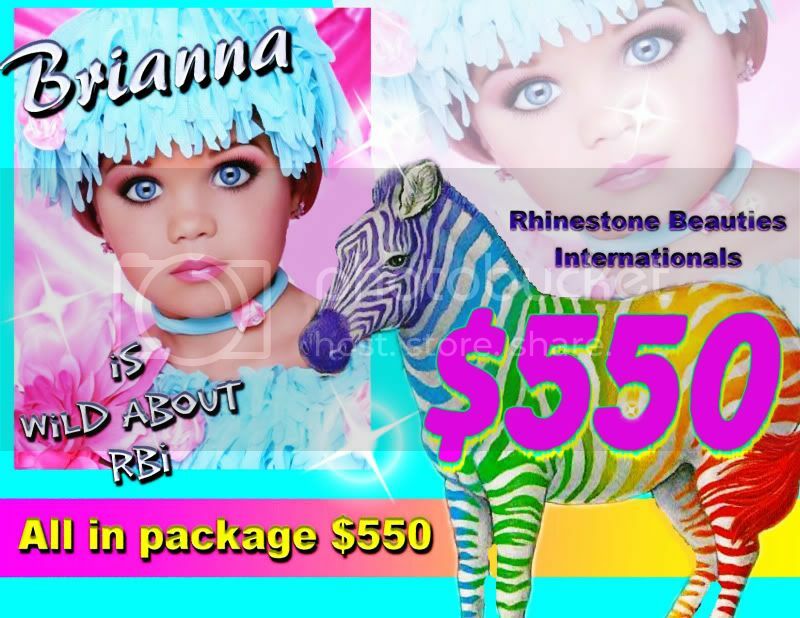 Send your $300 deposit to Porcelain Dolls and you will get a $200 discount, right now, no hassle, no worry, stress free, off your $995 Ultimate Package. 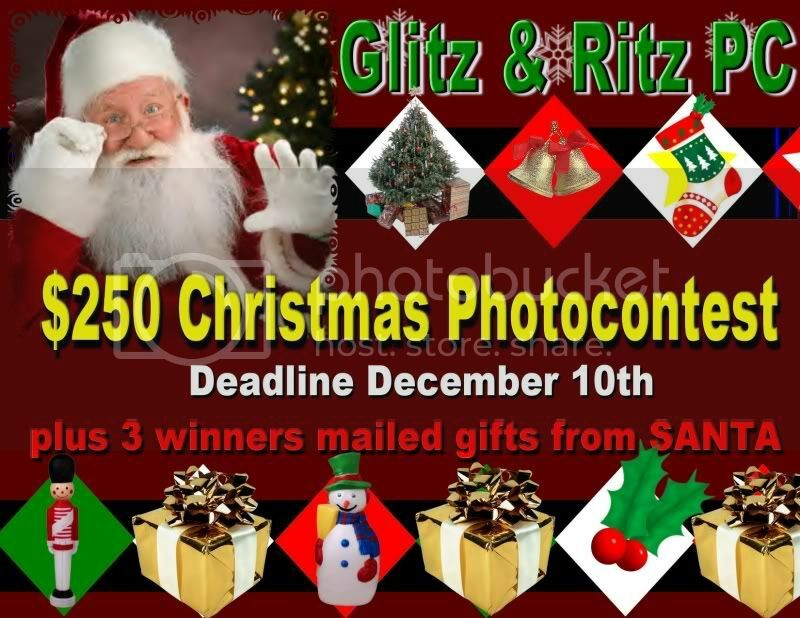 Plus, this includes your registration fee, 1 adult door badge, 1 program book, an official Porcelain Dolls portfolio bag PLUS all photo categories (Color, B/W, Print Model, Print Series, Composite, Natural, and Portfolio, and you receive one additional free photo per photo event that you are entered in!! To a First Class Weekend of a Lifetime! Have You Sent in YOUR Porcelain Dolls Entry? Tickets only $10 - Maximum OF JUST 15 TICKETS NOT 25!!!! Tickets To Be Sold!! 12 TICKETS ARE NOW GONE!!! Gotta Love a FREE Kapture KaShay Off-Stage Look!! INTO A $125 OFF-STAGE KASHAY LOOK! YOU COULD BE THE NEXT LUCKY WINNER!! Choose your style of competition glitz or natural ! VFW Hall 1004 Jeter St. Bossier City, La. A LIMITED NUMBER OF CONTESTANTS WILL BE ACCEPTED, SO ENTER SOON !! Compete in Beauty and Casualwear. Compete in Beauty and Outfit of Choice. Full glitz hair and make-up allowed ! 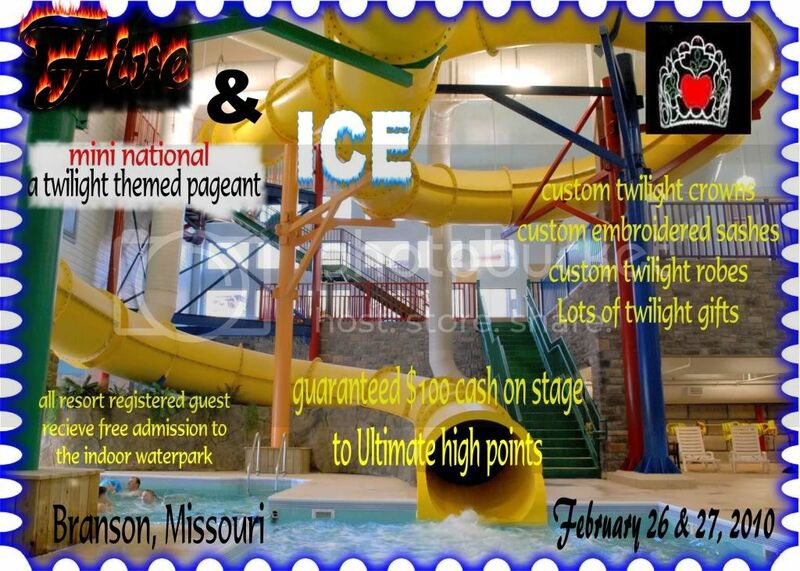 Don't Miss This Fabulous National Pageant! Pay a $75 deposit by March 14th and enter for **$295!! click the banner to visit Toni Overby Photography online! 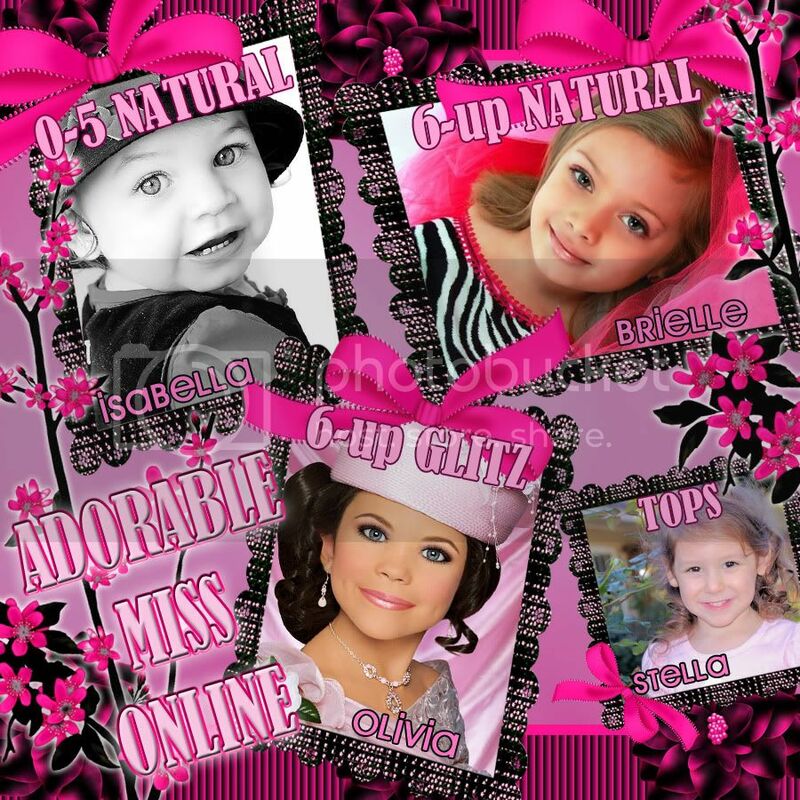 We Supply you with all of your Pageant Needs! WE ARE NOW ABLE TO TAKE CREDIT CARDS BY PHONE! CLICK ON THE BANNER TO BOOK TODAY!!! JOIN CHELSEA AT RBI FOR A FUN, FAIR & FABULOUS NATIONAL YOU! Did You Miss The PD Early Bird? We Have Other Ways for You to Save!! We have 3 separate photo contests coming up for you to win fees off! 3 Porcelain Dolls Photo Contests Are Coming Up! Watch Our Site for More Info! Tickets only $10 - Maximum 25 Tickets To Be Sold!! HURRY TICKETS ARE SELLING OUT FAST!!!! Gotta Love a FREE Toni O Off-Stage Look!! INTO A $125 OFF-STAGE TONI O LOOK! YOU COULD BE THE LUCKY WINNER!! Welcome to our First International Fresh Faces Royalty! YOU ARE ABOUT TO LEARN WHAT THE WORD ROYALTY REALLY MEANS! We at IFF are so proud to have you represent us! It's Not Too Late To Join Us at Glamour Girls!! Excellent Discounts Still Available - Email Today!! Glamour Girls - The Original Level Pageant!! **It's America's Grand Miss**It's Not Glitz, It's Not Natural, It's AGMStart The New Year Off Right! Amazing custom AGM crowns for ALL winners. 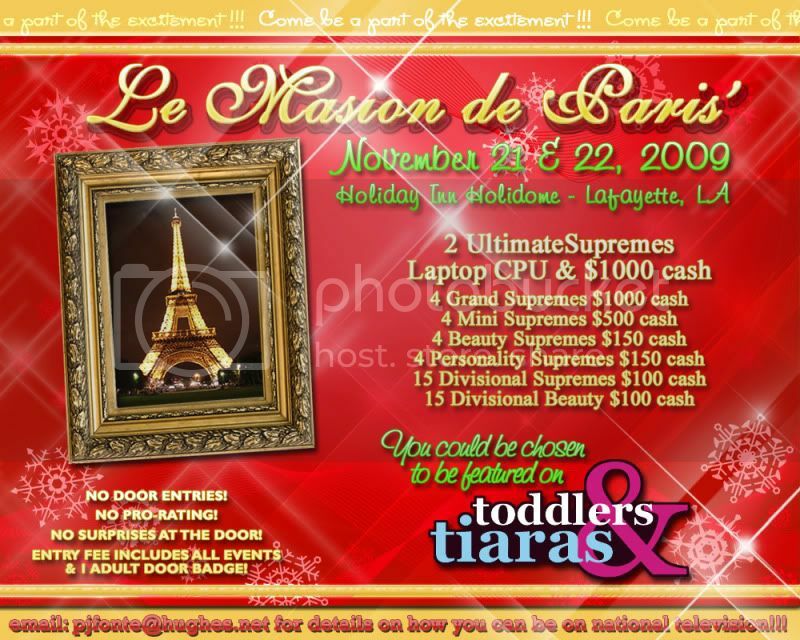 Fabulous gifts, NO pro-rating ever, on time professional production and everyone�s favorite MC, Mr. Tim! Isabella, Brielle and Olivia have won the jackpot! Stella has won one free entry into next month's contest! and will receive an AMGC custom crown in June 2010! Next contest ends: Jan. 20th!! 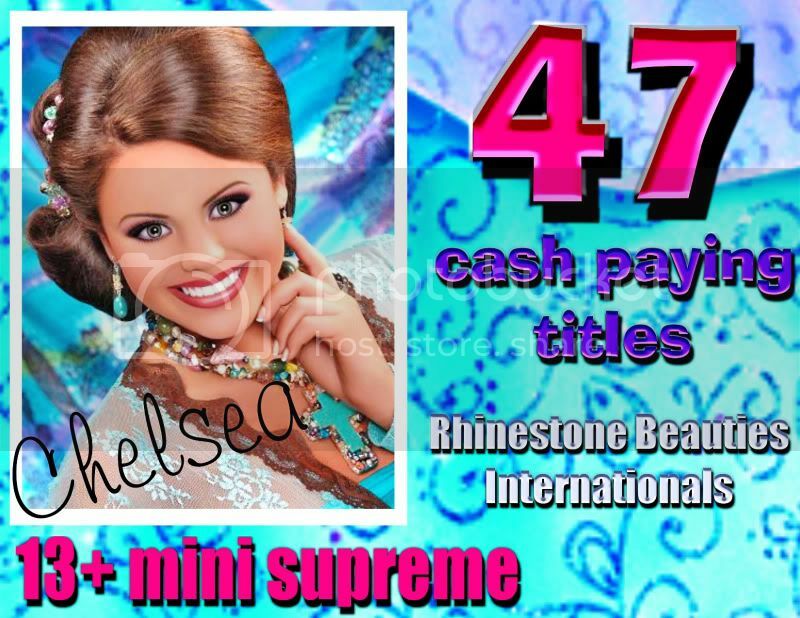 your Supreme Package to Adorable Miss Gulf Coast! Custom Twilight Crowns, Custom Twilight Robes, Custom Twilight Embroidered Sashes. "Email for paperwork or to be added as a vendor"
Paperwork is now available for our Once Upon a Dream National! Over 40 National Titles To Be Awarded!! * Guest Books drawings will be taking place every month! Sign our GB to WIN fee's off! Props and Custom Music Allowed! Over 40 National Titles to be Awarded! Carnival Night at the Castle Sat Night!!!! **CLICK ON THE BANNER FOR MORE INFO!!! Beautiful Natural Color With Instant Bronzer...Dries Quickly! All girls tanning with my receive a free light up toy as a "thank you" for choosing me!! Cami Came to GG from Louisiana & Hit it BIG!!! Have You Sent in Your Entry? and enter Glamour Girls FREE!!!!!! Sell 119 Good Luck Tickets to Family & Friends and not only enter Glamour Girls FREE....but you could also win an adorable puppy!!! Do you need scholarships, or assistance paying pageant entry fees? Miss Motor Speedway� & Miss Teen Motor Speedway� Pageant assist contestants who need scholarship assistance and pageant entry fee assistance. 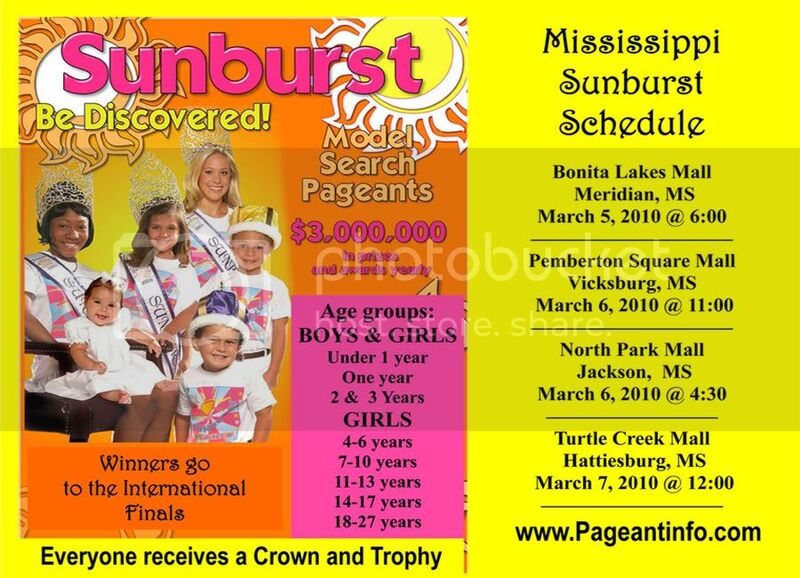 The Miss and Teen Division will receive a $1,000 cash prize and additional prizes. Looking for a Miss and Teen delegate from each state. Winners will be Volunteers and Members of the NASCAR Foundation. They will make appearances at selected NASCAR races and events. Don't miss this wonderful opportunity! 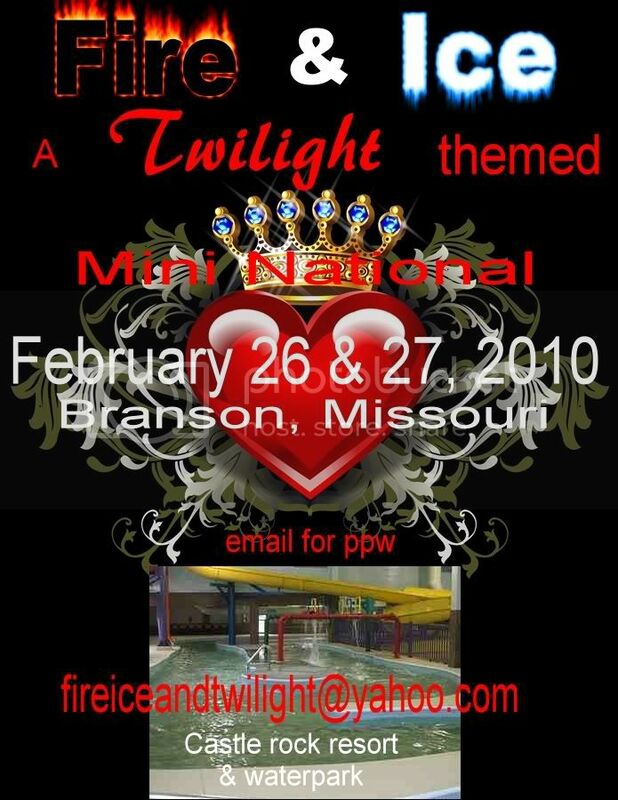 The National "Miss Motor Speedway Pageant�" will be held at Vanderbilt University Student Life Center in Nashville, TN on Saturday, March 13, 2010. Contestants are encouraged and welcome to represent their state. 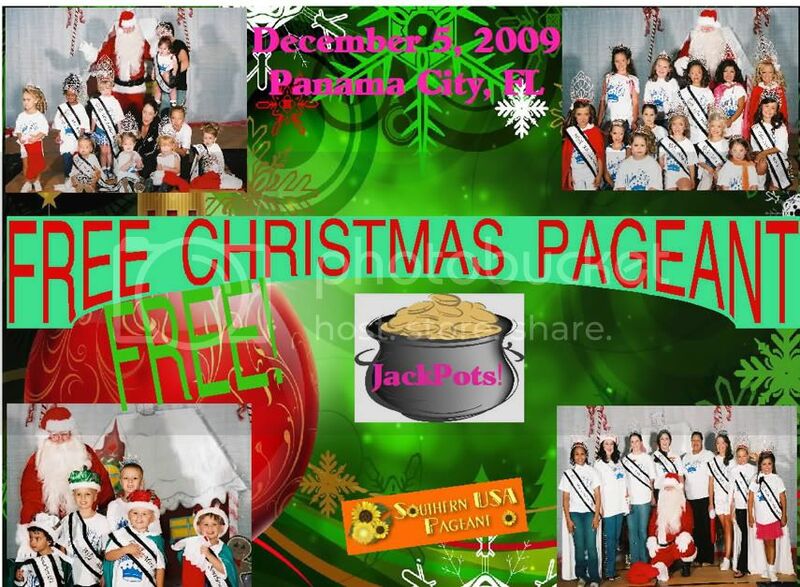 The Miss Motor Speedway Pageant� is a volunteer and member of the NASCAR Foundation. 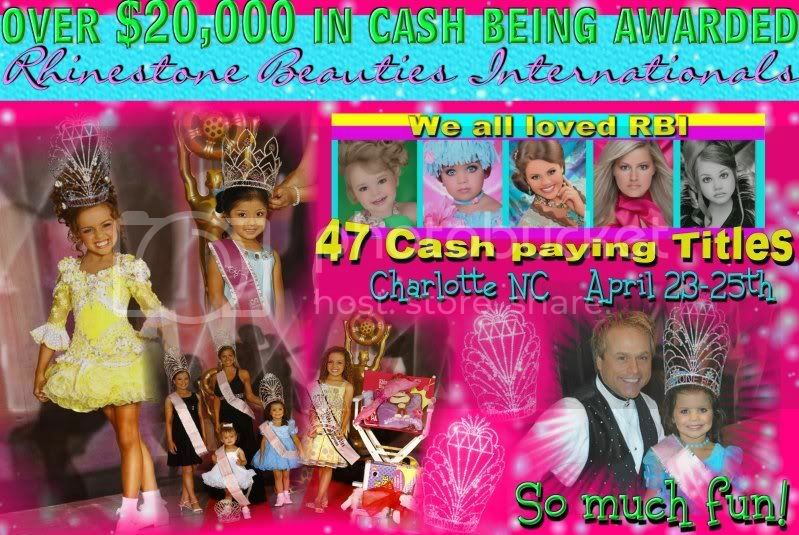 The cash prize may be used to pay entry fees to any pageant system or your educational endeavors. There is NO APPLICATION FEE or CONTESTANT ENTRY FEE. Request an application by contacting Director Mamie Jackson at jacksonfog@msn.com or 615-799-1040. 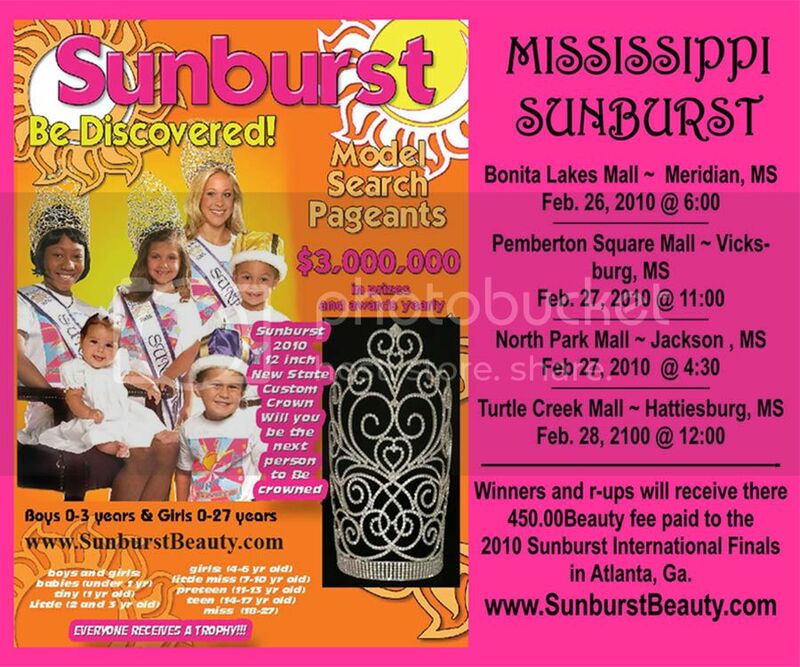 Miss Motor Speedway�& Miss Teen Motor Speedway� Prize Package!!!!!!!!!!!!!!!!!!!!!!!!!!! MORE PRIZES and SPONSORS TO BE ADDED SOON!!!!!!!! Due to high demand of pageant inquiries, I will accept a limited amount of contestants (first come first basis). Request an application today! $250 Santa is bringing early! to two little boys Dylan age 3 and Kyle age 6!! WE NEED 2 INEXPENSIVE BIKES FOR THE BOYS AND MAW WILL DO THE SHOPPING FOR YOU. Click banner to Email for more information or to make a donation! Step Right Up & Join us at the Greatest Pageant on Earth! Cailee went for "tutu cute" in her Porcelain Doll Wear. What will you be wearing in 2010?? Don't forget to take advantage of the Porcelain Dolls Earlybird & $ave $ave $ave!! ONLY 10 PER AGE DIVISION DON'T DELAY GRAB YOUR SPOT! Let Your Imagination Soar - Madisyn Did Last Year! How Will You Delight the Judges in Porcelain Doll Wear 2010? are showing the Visa card NO Mercy!! TONI OVERBY AT GORGEOUS GIRLS! Now booking for h/m and a photoshoot! Toni Overby is now booking For Gorgeous Girls! CLICK BANNER NOW TO BOOK YOUR SPOT! 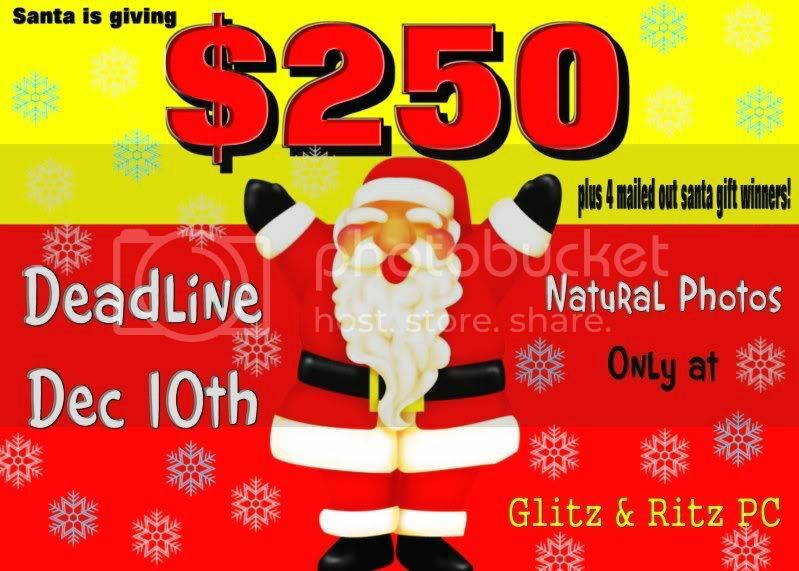 Choose your style of competition- glitz or natural ! VFW Hall- 1004 Jeter St. Bossier City, La. Age divisions - 0-24 months, 2 , 3-4, 5-6, 7-9, 10-12, 13 up. 0-24 months, 2, 3-4, 5-6, 7-9, 10-12, 13 up. All contestants receive a crown, monogrammed banner and gifts! 4 Talent Queens- 0-5, 6-8, 9-11,12 up. All contestants receive a crown and talent award! Beauty attire - Sunday dress or flower girl dress for 0-9. 10 and up may wear long, formal dress. NO SHORT, GLITZ PAGEANT DRESSES. Casualwear can be custom-made or off the rack, but no custom music or proam modeling. Absolutely nothing fake allowed! No flippers, eyelashes, hair pieces, nails etc. Keep attire, hair and make-up sweet and simple. We want to see your natural beauty. Beauty attire - long or short glitz pageant dress. Full glitz hair and make-up allowed. Outfit of choice is your choice-- Swimwear, angelwear, theme wear etc. Talent and costume should be age appropriate. 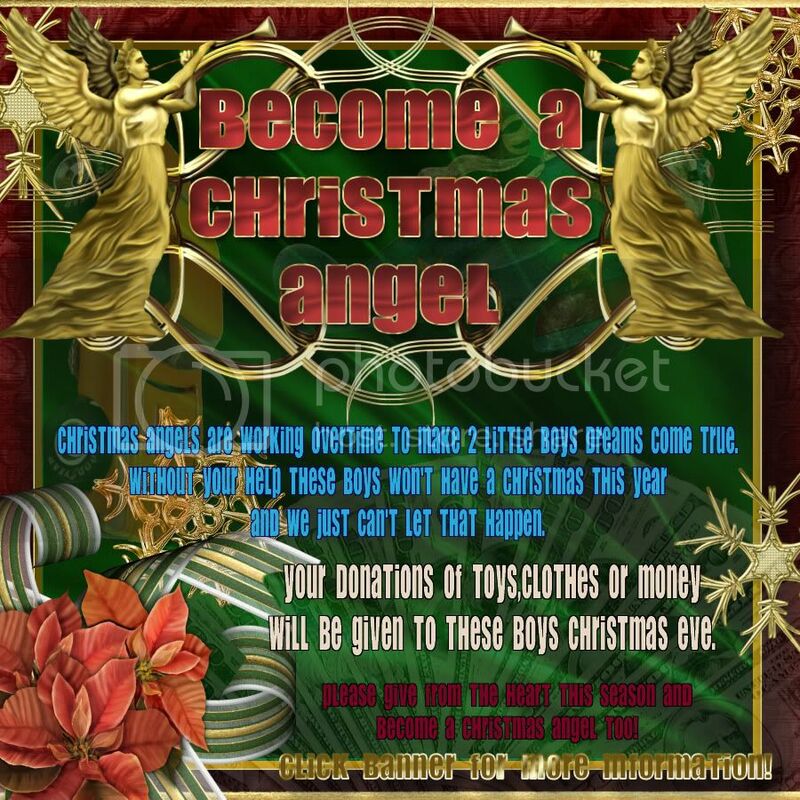 THE 1ST PAID IN FULL CONTESTANT IN EACH AGE DIVISION OF ANGELIC DOLLS AND ANGELIC DREAM BEAUTY WILL RECEIVE A SPECIAL GIFT !! "Beautiful, Classic and All GIRL!" We are looking for a beautiful FACE! You've Gotta Have Awesome Photos! Raeann and Chloe are Winning Big! WE CAN NOW ACCEPT CREDIT CARDS OVER THE PHONE!! Listen up!! You have a 2 day pageant 3 day pageant do I have the deal for you. Treat your Pageant Moms, Dads, and Little Ladies to a PAGEANT PAMPER PJ PARTY they will love having a night after a long pageant day getting their feet and hands manicured and massaged along with Facials Email me today don�t delay book your pageant before your date is gone. Right Now Booking for Tennessee, Kentucky, Alabama, and Georgia. *Please feel free to ask about hosting at your pageant even if it is not a state listed! !!!!! Deadline is TODAY !!!!! ALL ALTERNATES WIN ONE NIGHT FREE LODGING!! See your banner here all over the voys for just $5 a month!! GRAB YOUR SPOT FOR JUST $5 A MONTH 700X100 BANNERS ONLY EMAIL POWER POSTING TODAY! Don't Miss Out on the BIG Savings!!! to offer you an incredible offstage deal!! and pay only $150 for BOTH!! KaShay will have PHOTO TOPPERS for sale at ALL Shoot Locations!! click the banner & email Kim for all the info!! GRAB YOUR SPOT JUST $5 A MONTH!! !ALL OVER THE VOYS BY POWER POSTING OFFERING YOU MORE FOR LESS! DESIGNS BY HOLLY does national winning swimwears too! Cute as a button & sweet as can be! Do you have your winning DBH swimwear? Are you a DBH Darling? Merri is! Order your DBH attire today! 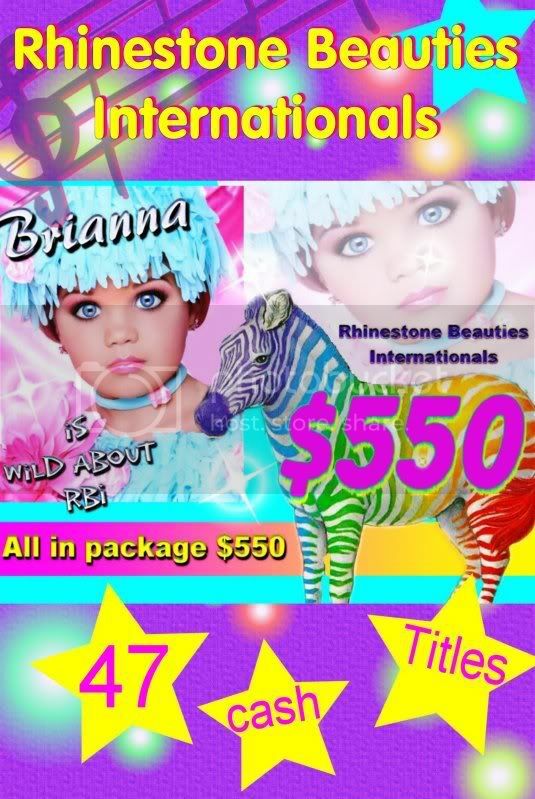 Custom Pageant Attire for babies, toddlers & little girls. Dressing local, state and national winners nationwide! Would you like to see BOYS added to Porcelain Dolls? We have to make a decision very soon - so let us know asap!! GRAB YOUR SPOT JUST $5 PER MONTH GETTING SEEN ALL OVER THE VOYS!!! Don't Miss the Porcelain Dolls Earlybird! Enter 2010 Nationals Early, and Save!!!!! 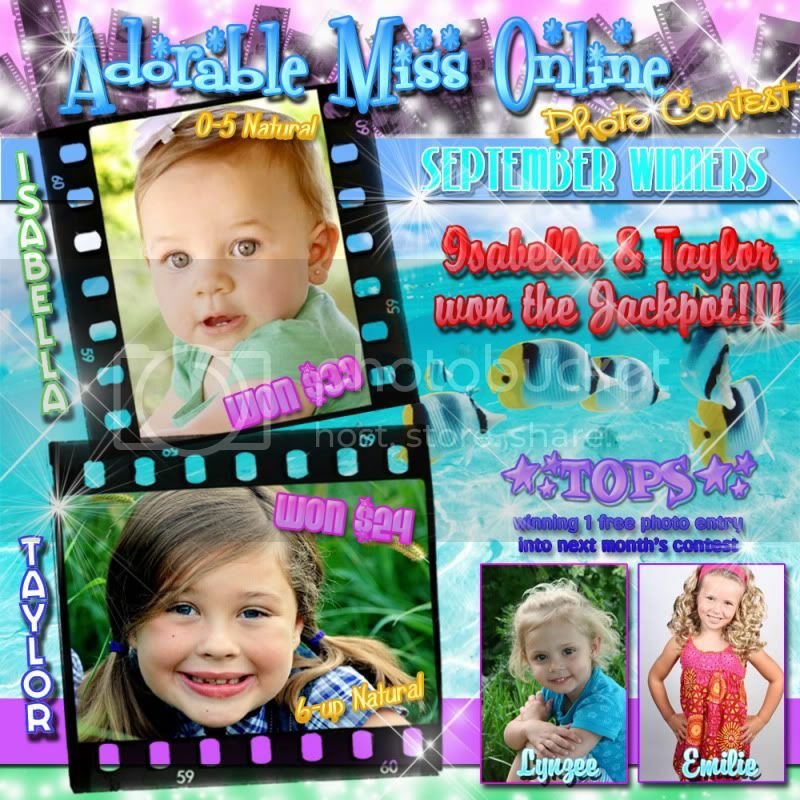 Porcelain Dolls Supreme Winners of $2500.00 each!! Adorable Miss Gulf Coast 2010!!! GRAB YOUR SPOT FOR JUST $5 A MONTH 700X100 BANNERS ONLY GET SEEN ALL OVER THE VOYS!! !EMAIL POWER POSTING TODAY! SEND YOUR $50 DEPOSIT PLUS 4% PAYPAL FEE TO LOCK IN YOUR EARLY ENTRY!! SAVE THE DATE! PAPERWORK WILL BE READY SHORTLY! Did you know Madonna never charges more than $200 for a National! 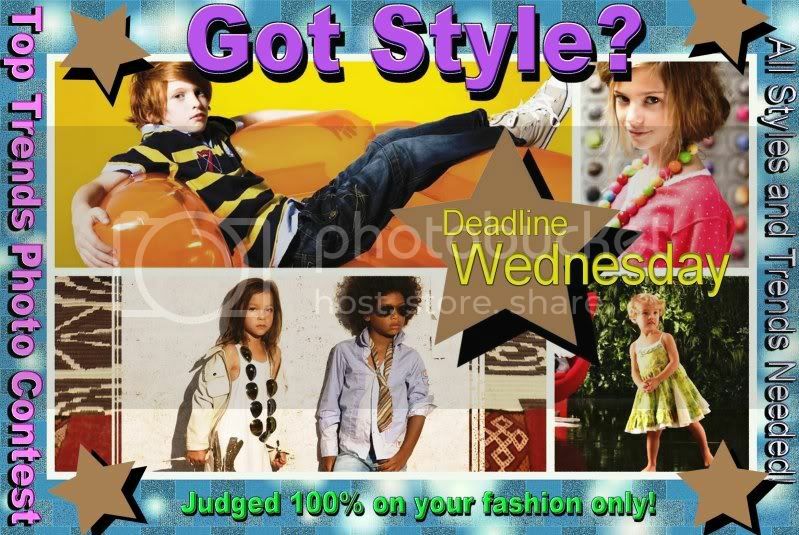 click the banner & email Carla to reserve your KaShay Shoot! Ryleigh Loves Her Huge Custom Crown!!! Gotta Love Porcelain Dolls Nationals!! 0-3 Porcelain Dolls Supreme & $2500.00 Winner!! Pay your $595 in full & submit your paperwork & program book photo by November 6th at midnight to receive this special offer! *No discounts or substitutions may be applied to this package. Level 2 Grand Supreme & $2000.00 Winner! !